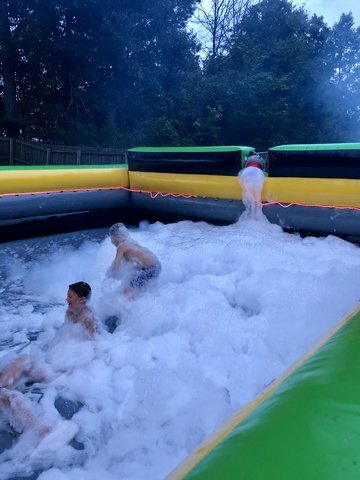 Foam Machine is included as well as 3 foam packets to produce 3 hours of constant flowing foam to last all day! Extra foam packets available for $25 plus tax each. $500.00 plus tax per day. Local delivery and setup is included.